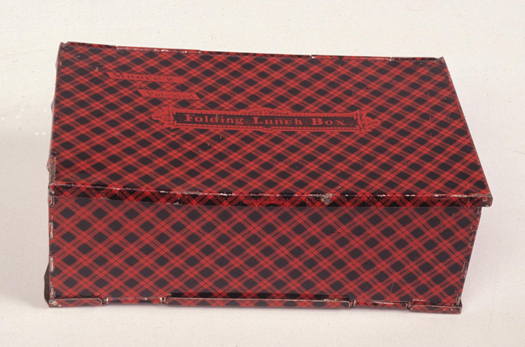 Sample the collection at “A Visual History of Lunchboxes“; then dive in. 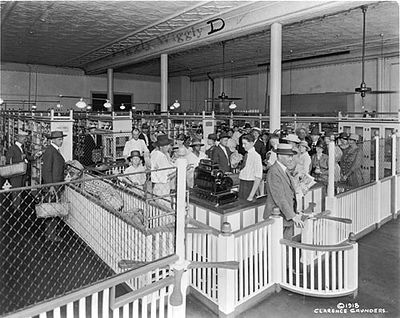 As we hope for Fritos, we might recall that it was on this date in 1916 that Clarence Saunders, a Tennessee grocer, opened the first modern supermarket, pioneering the retail sales model of self service– he had received U.S. Patent #1,242,872 for a “Self Serving Store”– and thus had a massive influence on the development of modern retailing. His Memphis store grew into the Piggly Wiggly chain, which is still in operation.